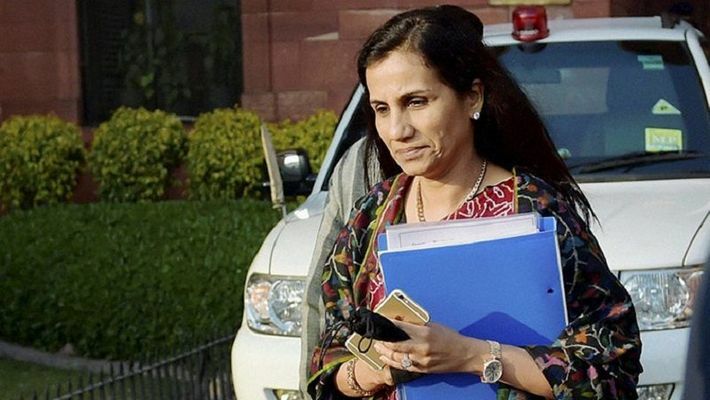 New Delhi: Trouble is mounting on Chanda Kochhar, her husband Deepak Kochhar and Videocon company chief Venugopal Dhoot as the ministry of corporate affairs (MCA) has prepared its report on the ICICI-NU Power case and is now thinking of prosecuting directors and promoters of six companies involved in the case. According to sources, the ministry has found in its investigation that there were over 25 violations of various sections under the companies act found in Videocon. In Videocon, the loans that were extended to directors were 'beyond the prescribed limit', sources claimed. “In the system of governance in the corporate entity, it is evident that the board would play a crucial role. The liability of the board would have to be clear and absolute for the actions of the company,” MCA said. Though officials are still finding money trail and flow of funds which is under scanner, the MCA will submit its report to the Prime Minister's office in the next 15 days, sources said. MCA had ordered an inspection under the Companies Act, 2013, on April 23, 2018 with respect to six companies linked to the ICICI-Videocon loan case. The officials are claiming that the intention of ICICI ex-chairperson Kochhar while approving loan to Videocon group was also not clean. "There are sufficient evidences to establish that Chanda Kochhar's intention was not clean while approving loan. Also the transaction had quid pro quo which is under investigation," a senior official involved in the investigation said. When asked about money trail, the officer said, "We are in the process of establishing money trail and flow of funds. We have some tip-offs, soon it would be revealed." According to the Mumbai unit which has investigated the case under a regional director is also claiming that the report has flagged number of violations of Companies Act 2013. The report has given almost 26 violations found in Videocon. "Report has given details of the appointment of the directors of Deepak Kochhar's Nu Power and Videocon who were appointed as shadow directors. The report also talks about the procedure followed to make them directors," an MCA official said. "During investigation, we found that several wrong disclosures are being made in various financial statements and yearly reports of both the companies. Also, wrong disclosures of board meetings were made to give a positive image of the company," the official claimed. Sources are now claiming that there was also quid pro quo while approving loan to Videocon which also reflected in other agencies' investigations.